There are numerous long and confusing 10 step articles on how to select an investment advisor. While they are all written in good intent, they have a lot of mumbo-jumbo like “is your advisor a good fit for you and your family” which is more suited for a dating website 🙂 More importantly, they all fail to include the single most important question one has to ask an advisor or broker – have they managed money before and with what results? When selecting an advisor use the KISS principle – Keep It Simple Stupid! We will keep this list simple – only the top two things to consider when selecting an investment advisor or broker. Btw, here is a great article on how to make investing simple too. Has your investment advisor or broker managed money before? – this goes back to first principles. Why do you need investment advice? – to “grow” your money to reach your goals. Don’t be the first client that your advisor is “growing” money for. Let them work with successful money managers and learn the trade like all other professions. Then trust them with your money. Let’s think of a hospital analogy – would you put your health in the hands of nurses just because they have been around doctors for a long time? Don’t do that with your finances either. Someone who has worked in technology at a bank, or someone who has research experience at a bank etc does not gain any investment chops just because of proximity. Remember, none of them have managed money. These are nurses, not doctors. They are not the advisors you are looking for. Look for practitioners, who have apprenticed and have years of successful money management experience. You will get value from their advice. Who is paying your investment advisor or broker and how much? – if it is not you, you are in trouble my friend. Will you trust a doctor who is paid by the medicine companies and her service is free for you? Of course not as she will prescribe more medicines or prescribe the most expensive medicines (higher commissions). Will you trust an auditor to do your tax filing who is paid by the IT office and his service is free for you? – of course not as he would have no incentive to save you taxes (higher commission). 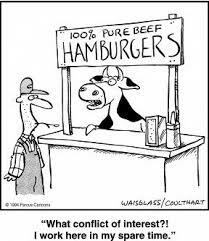 This is called “conflict of interest” and no amount of good will posturing such as “we always work for our client’s best interest” has been able to overcome it ever. 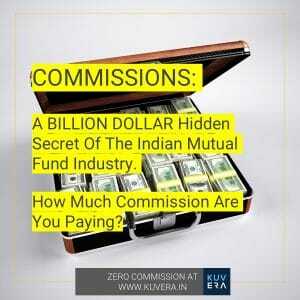 Similarly why go to a distributor who is paid a commission by the Mutual Fund company? They will guide you towards Mutual Funds with higher commissions. You are better off investing in Direct Plans and paying only for advice. Who pays your advisor or broker? i.e are they working for your best interest? Has your advisor or broker managed money before? Kuvera – India’s best goal based investing platform. Saving you lakhs in commissions through Direct Plans of the best equity and debt mutual funds. If you like this post, share the love below..
Sir, It is all nice and good to hear. But the difficulty starts when we start investing somewhere with somebody. First problem: How much investment to start with, so that we remain safe. Next: To invest maximum amount, how to transfer the money to purchase MFs through your cart, viz, Nowadays, Banks have fixed a maximum limit of 10 lakhs per day through RTGS. If we need to put higher than 10 lakhs investment, how to go about it? Second – NEFT / RTGS limits are bank specific. But do note you can ask your bank to increase your NEFT / RTGS limit or go to the bank branch to initiate the order if it is too large (in crores). Q1: I am already Kuvera member, i am hesitating to invest into index fund’s. 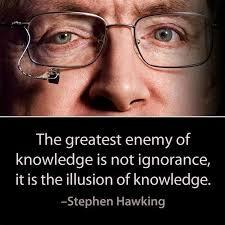 Did research on index fund. Is it wise to put 5k a month in 2-3 best performing index funds for long period of time???? I am planning to invest for at least 5yrs & above. Q.2 I am new to MF i have switched my previous regular plans to kuvera into direct plans. If at point i feel i am not able to make decision regarding performance of my fund, does kuvera provides any advisor???? If yes what are the fees for the same. A1. Yes, it is advisable to invest in Index funds. A2. We do provide portfolio advice through goal planning. Once you add your goals, we will advice on the portfolio to invest. We also advice on equity / debt allocation on a periodic basis. If you email [email protected], we can send a list of fee only planners that we have received good feedback on.